Also known as the M1947 (also marked like mine as the M61A) the Madsen was the last bolt action Main Battle Rifle to have been bought by a government for their military. It has the distinction of almost, but not quite, being issued and eventually making it to the surplus market in like brand new condition. One serial number(s) block had a nice enameled disc insetted into the stock however mine isn't one of those. 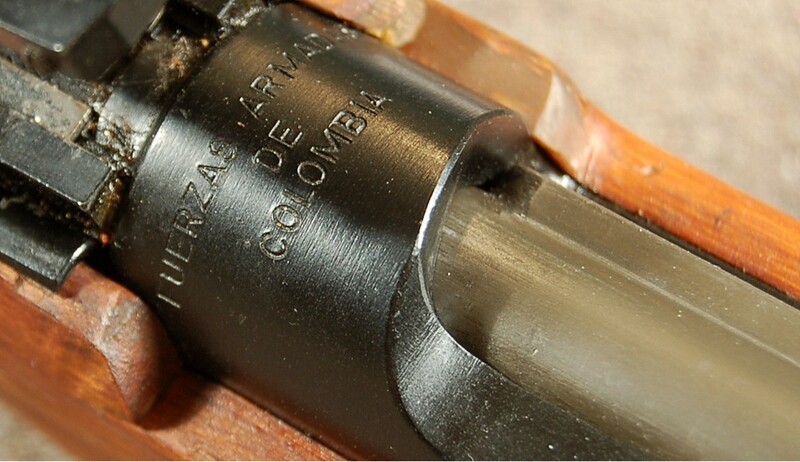 When I bought my M1947 the dealer had a pair, consecutive serial numbers, with the discs. At the time I didn't have the cash for both of them; something that I do regret today! 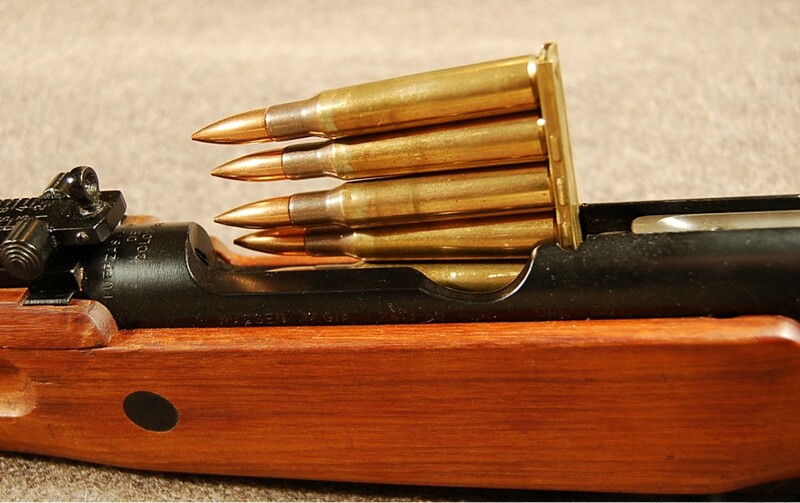 It is chambered for the .30 Caliber M2 Ball Ammo; the same round as the M1 Garand; aka .30-06. I've only shot .30 M2 out of mine (and only 10 rounds or so - I need another range trip with it). My wife is Colombian; so in addition to the Madsen, I have also acquired one of Century's Golani Galils - the Colombian Army still carries a lot of 5.56 Galils; in evidence with security details in front of buildings where senior government officials live and work; my step-son, doing his compulsory military service trained on one. The first time he saw mine it was like a switch flipped in his mind and he went through the manual of arms with it as if he did it daily! Next time he visits we'll go to the range and see if he remembers how to shoot it! I find these are a very interesting rifle, almost like they took several rifle designs and formed them into the Madsen. The only issue I have ever had, was a broken extractor, which is a difficult piece to find, almost like finding a bayonet for one. I have been told there were less bayonets brought in than rifles, mine is not numbered. Sadly, neither of my rifles has the stock disc. Very nice. I have one of them as well with non matching bayonet. Does any one know why some guns had the medallion and some did not ? retread12345678 wrote: Does any one know why some guns had the medallion and some did not ? My understanding is the Medallion was ordered on the later contract rifles. Starting around serial number 5,000. There have been a couple below 5,000 with a Medallion and a couple above without but that seems to be about the time they were added. They were not added for the Navy. That was an old mis-translation. If you search google for Colombian Madsen Survey you will find Ol' Duke's threads that have much info. He suddenly passed away in I believe 2014. Not sure if anyone carried on with recording the serials for the survey, but people still post new purchases them them. I've been eyeing one of these on an auction site, what do you fellas think a reasonable price for a nice Madsen ought to be today? 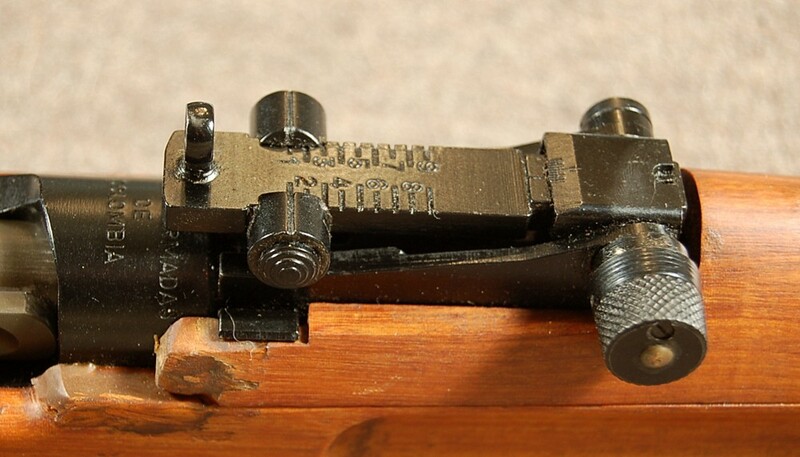 For a nice one today, I would think somewhere in the $825-$900 range and add $100-$150 if it comes with a bayonet. You don't see them for sale all that often so (like always) it just depends who else is bidding. Please post up some pics when you get one. Well the one I was looking at went north of $1,100 so I guess it wasn't meant to be. Yes, that's a little steep - maybe next time. I traded for one when a friend found one with a matching bayonet at a yard sale. He went to buy the bayonet and they had the rifle.